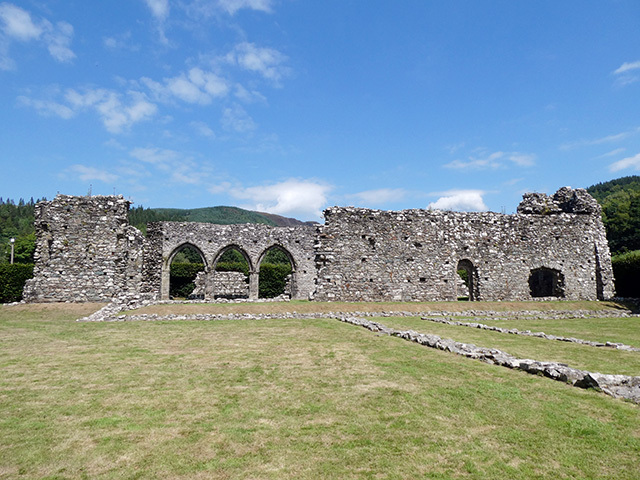 Nestled near the banks of the Afon Mawddach lies the remains of Cymer Abbey, a ruined Cistercian abbey founded in 1198. 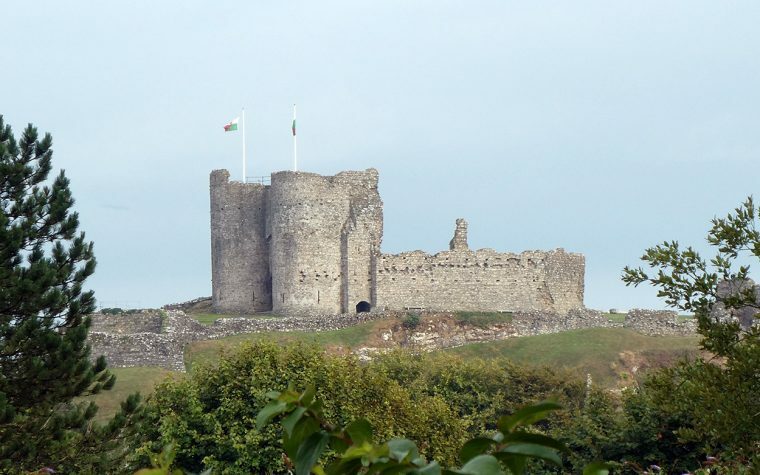 The abbey was dedicated to the Virgin Mary under the patronage of Maredudd ap Cynan (Lord of Merioneth and grandson to the King of Gwynedd, Owain ap Gruffudd). 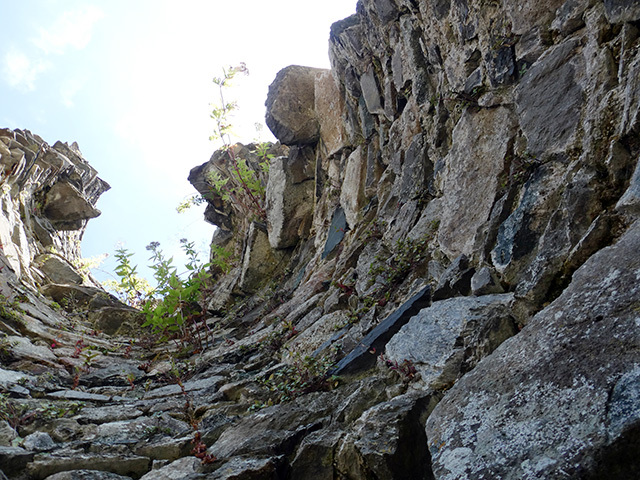 Inside the ruins of Cymer Abbey. 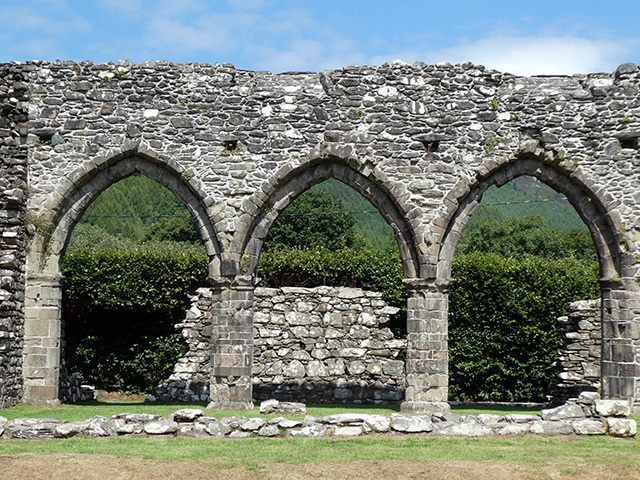 3 arches in Cymer Abbey. 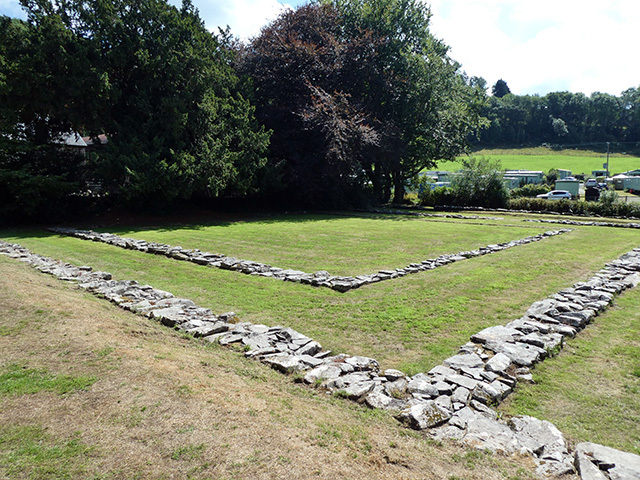 Cymer Abbey was a simple and plain abbey church, but it does not conform to the usual cross-shaped design. It lacks northern and southern transepts, and the choir and presbytery were incorporated into the nave. The abbot’s house can be found next to the abbey. 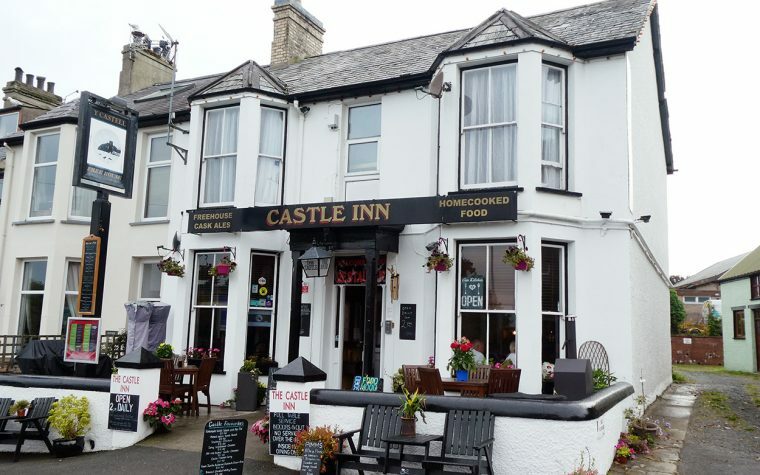 It has been extensively remodelled and now serves as a farmhouse. 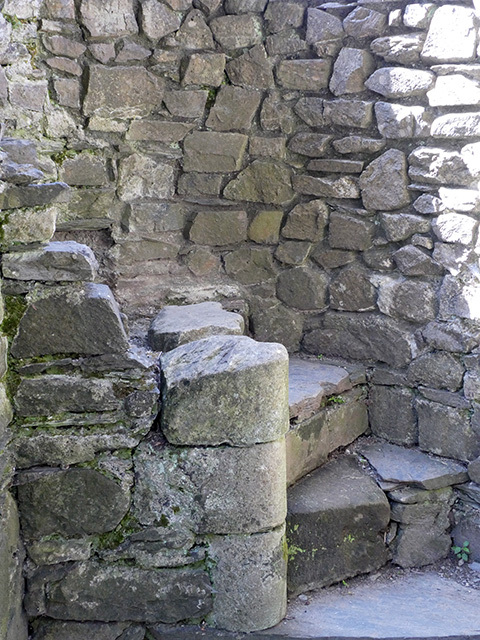 The beginnings of a spiral staircase at Cymer Abbey. During its history, Cymer Abbey has been a base for Prince Llewelyn ap Gruffudd’s troops and occupied by Edward I during the Welsh Wars. 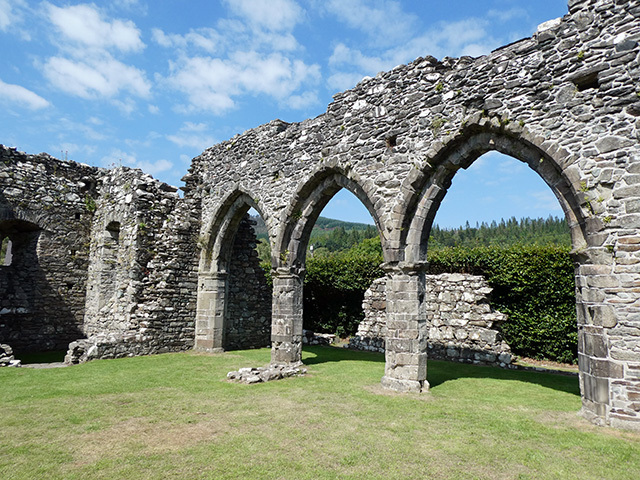 The abbey was poor and this wouldn’t have been helped by the Welsh Wars of Edward I (in 1284 Edward I gave the abbey £80 in compensation for damage caused in the wars) or by the rugged and mountainous landscape surrounding the abbey. These days Cymer Abbey is in the care of Cadw (the Welsh Government’s historic environment service). 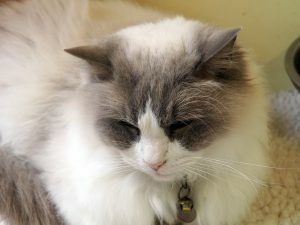 It is open to visitors between 10am and 5pm (closing an hour earlier during winter months) and entry is free. 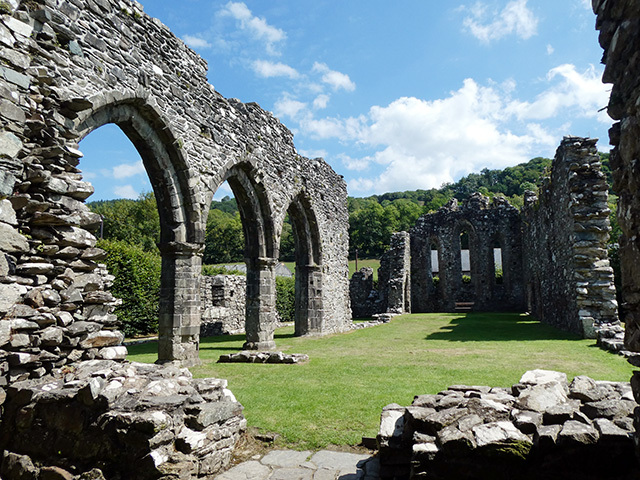 Cymer Abbey can be found north of Dolgellau in Gwynedd, North Wales, just off the A470 trunk road. Follow the signposts, which will lead you through a caravan site to the farm (with parking) next to the abbey. In times gone by the Welsh used the patronymic naming system of using a father’s forename or given-name as the child’s surname. So Owain ap Gruffudd translates as Owain son of Gruffudd (“ap” being the contraction of the word “mab”, meaning “son”). Welsh surnames such as Powell and Pryce came about with the Anglicisation of Welsh names. Powell would have originally been “ap Hywel” and Pryce would have originally been “ap Rhys”. Other Welsh surnames came about by simply adding an “s” on the end of a name, e.g. Jones (originally John), Evans and Williams. All a bit of a nightmare for Welsh genealogists, I’m sure you’ll agree! 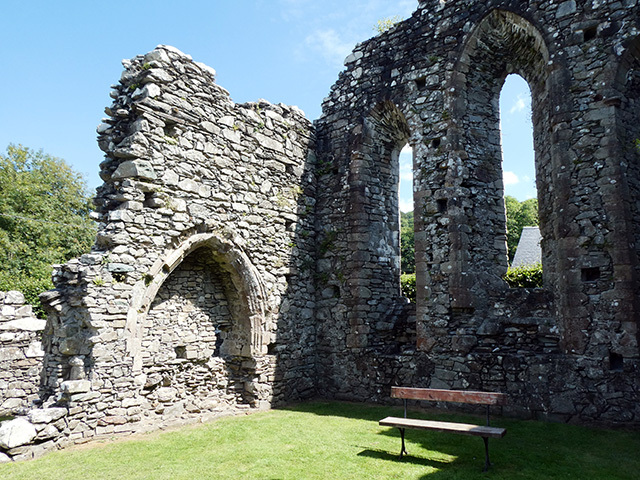 Tagged abbey, cymer abbey, dolgellau, gwynedd, north wales, travel, uk, uk travel, wales. Gorgeous photography! I have a love for Welsh names – I think of knights and ladies, Lord of the Rings type fantasies. Not that I know much about Wales. Thanks for the info on names. It helps. I’d love to visit here. Tolkien loved the Welsh language and it heavily influenced the Elvish language in his books. Even The Shire was inspired by rural Wales! This is one of those posts that makes me long to be there, to see it in person. I love sites like this! I can’t believe I’d passed it so many times without knowing it was there. Nikki, your photos capture the abbey beautifully! How lovely to have something as picturesque as this right near you in Wales. Thank you! Cymer Abbey is just over an hour’s drive from where I live. I love that I had to look up four words in your second paragraph (after “transepts,” “presbytery” and “nave” I found myself looking up “choir” to be sure). I’m glad the Welsh environmental agency is looking after this venerable site, and I’m hoping it’s in better hands than it would be over here. The Dept of the Interior would probably turn it into an endangered species tannery and drilling site. The story and photos were so interesting I feel I’ve learned something. I even looked up what £80 is worth today: £88,748.64. I wonder how far that went in repairing the abbey. Wonderful shots of the ruins! It would be amazing to see these abbeys and castles in their heyday, though I think it’s pretty amazing to know that the ruins are still here after all these years, and some sections still in pretty good condition. I didn’t know that about Welsh surnames but it makes prefect sense now you’ve explained it. I don’t think many buildings built these days will still be around after a similar amount of time. Buildings seemed so beautiful back then, didn’t they? Obviously built to last, too. The Abbey looks lovely. I imagine it became a ruin after the dissolution of the monasteries in the 16th century. I had no idea about the Welsh names, that is very interesting. Hi Nikki, I find places like this fascinating. To stand amongst the ruins and to imagine what went on there over the years gives me goosebumps. £80 must have been an absolute fortune back in 1284. 1284? That’s hundreds of years old! I can’t imagine there will be much left of any modern buildings hundreds of years from now, they just don’t make them like they used to! Thank you for popping over and joining in with #keepingitreal. Very interesting about the surnames. I think I have a Welsh third great grandmother but I can’t find her maiden name or info — just census info she was from Wales. Now I’ll probably NEVER know! Beautiful ruins. I’m sure it was once gorgeous. Now it is poetic. If you ever need any help, do let me know! I love a bit of family history research.